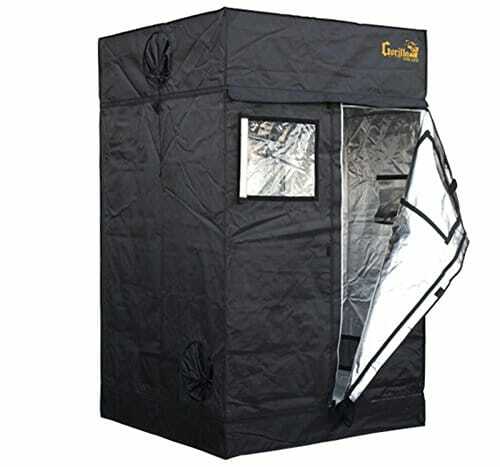 Gorilla Grow Tents are professionally designed grow tents that are perfect for experts and crucial for beginners. These tents are height adjustable to increase your yields and plant sizes up to 2X, runs cooler and are easy to walk around in. The 1680D Diamond Reflective Walls are 3-9X thicker than every other grow tent which makes them light proof, odor resistant, quieter and properly insulated. Gorilla tents also have the strongest metal poles that can hold up to 500lbs on larger sizes for maximum security and safety. Other highlights include a patent pending Infrared blocking roof, double-cinching ducting ports properly situated where they must be, heaviest duty zippers that last, durable safety pool for unexpected water spills and large EZ View windows that offer easy grow snapshots without compromising your environment. The doorways also zip all of the way around that offer complete 360 degree convenient get right of entry to. The larger layouts provide frustration free maneuvering. Gorilla Grow Tents far exceed all others and take into account that, your grow is only as good as what you grow in. Trade in your old tent for a Gorilla growing experience. Grow easy on yourself. Grow Gorilla. Exterior dimensions: 4′ x 4′ x 6′ 11″ (w/ext. 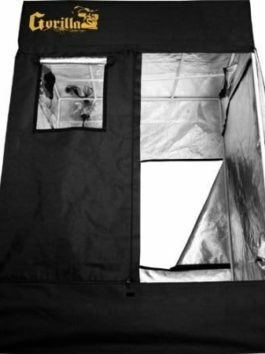 7′ 11″) Features 100-percent metal, interlocking, sturdy frame & connectors 1680D “Easy On” grow tent 12″ height extension kit included Infrared blocking roof insertion “EZ View” windows Convenient get right of entry to tool pouch Heavy duty flood protection pool 10″ double cinching, no leak ducting ports 360 degree “wrap around” get right of entry to Micro mesh pest regulate pre-filters Easy set-up instructions.